One of our favourite brands on Ethical Superstore Faith in Nature is celebrating 40 years this year. Faith in Nature was born in Edinburgh at a time when ‘green’ cosmetics weren’t the mainstream, however things have changed over the last 40 years and Faith in Nature have stuck to their original vision of doing good, for their customers and the planet by only using natural ingredients whilst keeping their prices affordable. Faith in Nature are UK based and choose to manufacture in Britain too, supporting the local community and keeping international logistics to a planet friendly minimum. 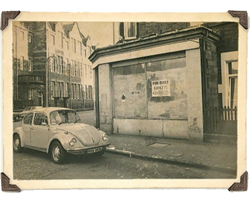 Since starting up in Edinburgh 40 years ago the business has expanded but because it is still a family owned and run business they have been able to ensure their products are not compromised and only use natural ingredients putting the environment first at. Faith in Nature cosmetics use a wide range of natural ingredients from plants making their shampoos smell wonderful with everything from lavender to need seed oil with all the original fragrances such as Seaweed, Rosemary and Lavender & Geranium – all continue to be incredibly popular. But what isn’t in their products is just as important, Faith in Nature have a strict policy on what goes into their products. No animal tested products, no animal ingredients and no ingredients that have been tested on animals are used in Faith in Nature products. You also won’t find any genetically modified ingredients, no synthetic colouring or fragrences, no SLES, SLS or parabens, no artificial preservatives or BPA plastic! Faith in Nature’s latest ranges are ‘Tropicals’ Coconut and Pineapple & Lime (shampoo, conditioner, shower gel/foam bath, hand wash, bar soap) and new Luxurious Creams (coconut body lotion, coconut hand cream, lavender body lotion, lavender hand cream). The Coconut Shampoo is already so well regarded that it just scooped the Gold Award in the fiercely contested hair care category at the recent FreeFrom Skincare Awards. Faith in Nature continues to grow in the UK and internationally and are consistently named health store retailers’ Most Mentioned Brand since the feature started in Natural Products Magazine. We are proud to have stocked Faith in Nature for a number of years and they continue to be one of our best selling brands loved by our customers. Next story Which energy saving kettle is right for you?